Missy customizes each facial to fit the needs of the client. 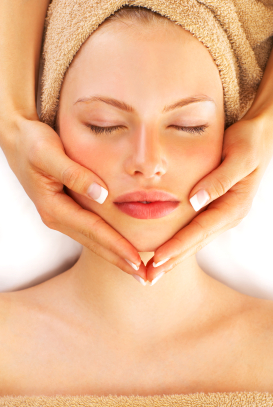 The facials involve cleansing, steaming, massage, manual extractions (if needed), toning, mask, and moisturizer. During the facial the client will experience warm stones placed in the hands and along some chakra areas, and the use of hot towels. Also depending on the type of facial and needs of client Missy will massage during the masking stage so you are never left alone during your treatment. Hour facial $60.00, half hour facial $30.00. A facial customized to your needs along with a full body steam bath that hydrates the skin, warms and relaxes the muscles of the body. An organic treatment that invites you to escape to authentic and comforting nature and that restores all the benefits of nature to moisturize, de-pollute and reveal the natural radiance of the skin. Ultra-relaxing de-stressing techniques, along with delicious fragrances and textures that transport you to an orchard bursting with summer fruit, a wheat field and an herb garden fragrant with the scents of Provence. Enjoy a relaxing pedicure by reclining back on the massage table. Missy exfoliates, manicures and massages the feet, and finishes with hot towels and moisturizer in addition to your choice of polish. 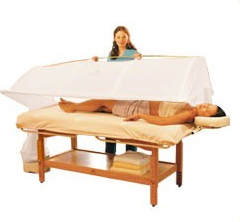 Depending on the services booked a manicure is either done on the massage table or at a chair. The same care is given to the hands as the feet in the pedicure. A full body exfoliation followed by an even coverage of autobranzant. Leave with your own tube of autobronzant to keep the tan going. A soy based hair removal system, the soy allows our product to adhere to the hair rather than the skin and the hair. This allows you to get ‘cleaned up’ with less pain and irritation. Hair removal in this manner lessens hair re-growth and ingrown hairs!